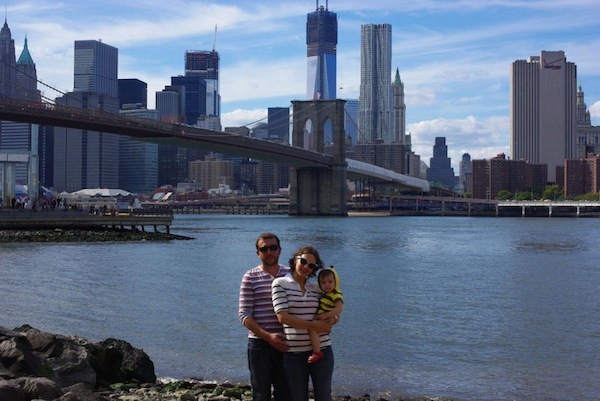 My family at Brooklyn Bridge Park, where we were married June 6, 2004. If you’ve been looking for me on the interwebs, you might want to direct your browser over to KnockedUpAbroadTravels.com, or better yet, Facebook or Twitter. If you’ve been wondering about all the Detroit links and thoughts about other cities I’ve been posting on those social networks, keep reading. We arrived back in Brooklyn on Labor Day, after a month of travel in New Zealand and South Korea, and over two years living in Istanbul. Since arriving back, in between trips to Target and IKEA (moving back into an apartment after a few years away is nearly as much work as moving anew), we’ve been pondering what’s next for us. Ideally, we’d be packing and planning for another overseas assignment, but as life rarely happens as you plan, we’re looking for a plan B as well as a new place to call home, whether it’s in between expat stints or for the long haul. My husband’s consulting job has moved from client-side to pre-sales, and he can now pretty much work in his underwear from a coffee shop or from home anywhere in the US. Since moving abroad and having a baby, I’ve been working freelance in travel writing (need an article about Istanbul or travel with a baby? Email me) and public relations, and hope to stay more or less at home for a bit longer, especially in a place where daycare isn’t on par with college tuition. Yesterday, I wrote about why I’m traveling with Vera. Since I began traveling with her four months ago, my Knocked Up Abroad column on Gadling has grown up too. What started as a chronicle of my experiences being pregnant in Istanbul and traveling in each trimester has now become an attempt at showing that it is possible to still travel with a baby. I’m fortunate to reach an audience that is already traveling and may also have a baby, and I hope to inspire more parents to travel. –The baby-friendly difference: How Turkey is one of the most baby-crazy places in the world and why it makes every day easier. –Applying for a baby’s passport: The comedy of errors we went through getting Vera’s passport and that silly picture that will serve as her primary ID for the first five years. –Planning travel with a baby: Choosing and researching a destination, packing light, scheduling around baby, and the merits of an apartment rental. –Flying with a baby: Going stroller-less, making friends and getting help on the plane and at the airport, and ensuring baby doesn’t cry (much). –International travel with baby: On-the-ground advice about attitude, planning and then letting go of your itinerary, conversions, and other lessons learned. –The young family gift guide: The (mostly) Vera-tested, Meg-approved guide to gear and gadgets that make baby travel easier. Next week, I’ll get into specific destinations like Istanbul, Venice, and London, and how to tackle them with a baby. 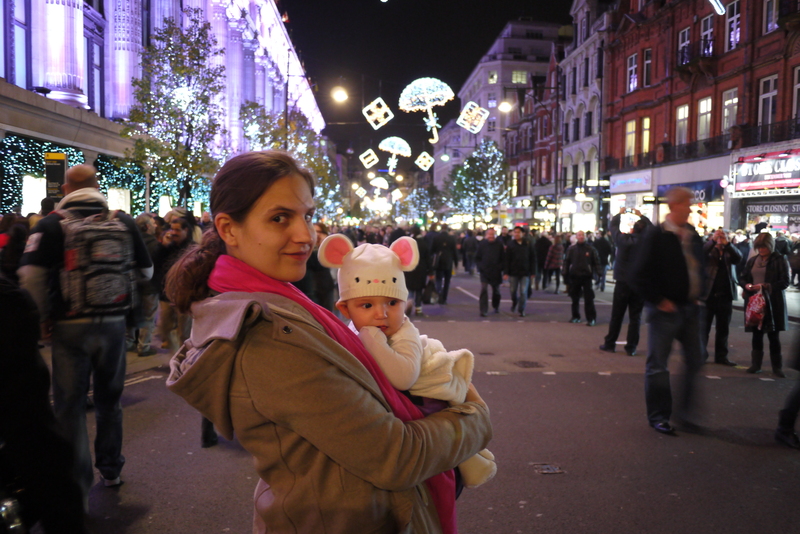 This week, Vera and I came back from a few days in London to see friends and get a little dose of Christmas (it turns out, 3 days of pre-holiday shoppers and relentless Christmas music is plenty). The UK is country #6 for my baby who is not yet five months of age, and I’m already itching to plan another trip. On each flight, a fellow passenger or flight attendant will ask, “Is this her first flight?” and I respond proudly that it’s her 12th and counting. When I talk to people about traveling with the baby, I’m often met with reactions that indicate I must be insane, reckless, or just selfish. These are all valid points, but so far Vera is a very healthy and happy baby, and I hope to keep traveling as long as she remains so. 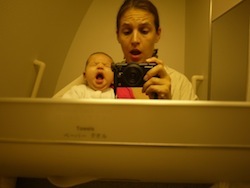 I’m paranoid about ever being the mother-with-the-crying-baby on a plane so I watch her like a hawk for signs of distress and I’ve been lucky so far to have a nearly perfectly-behaved baby (it helps that all I can really do with her is feed and hold her, which are her favorite activities) on each flight. Occasionally, I doubt my own sanity and decision-making when I’m walking around a foreign city late at night with a crying baby, taking a cross-border bus with no adult help, or trying to juggle a stroller and a suitcase while nursing and walking, but I have no real regrets. So, in case you wondered, why the hell am I dragging my baby around the world?